Monster Hands | Temporary Tattoos for Talking Hands! 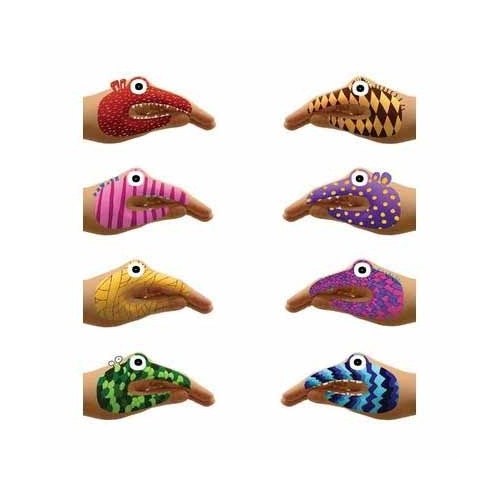 These fantastic and easy to apply temporary tattoos are sure to provide hours of amusement for your child! Each pack contains 8, non-toxic monster designs that will turn their hands into biting, roaring and munching monsters - there's no limit to their imagination! 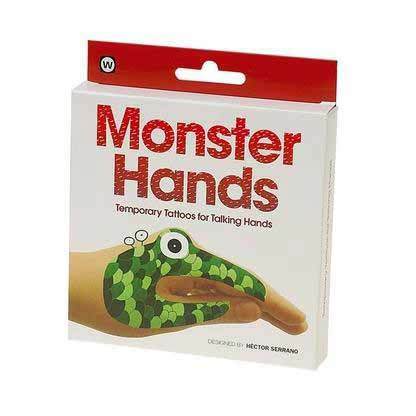 Monster Hands make unique party gifts and stocking fillers. 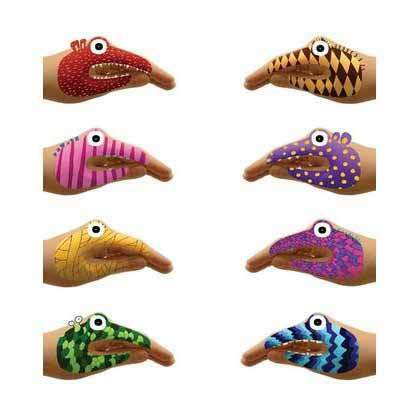 With these around, who needs finger puppets?! Each tattoo measures approximately 8 x 6.5cms. Go on, put a smile on your child's face today! Not what you're looking for? Check out our Animal Hand Tattoos! Safe and simple to apply with water, see instruction booklet for details. 8 different monsters to a box. Tattoos fit best on children 5 years and up. My 4 year old loves these. Although probably better suited to age 5 and above as it was a little tricky fitting the monster to his small hand.